Dai Pai Dong finds itself in a very interesting location. 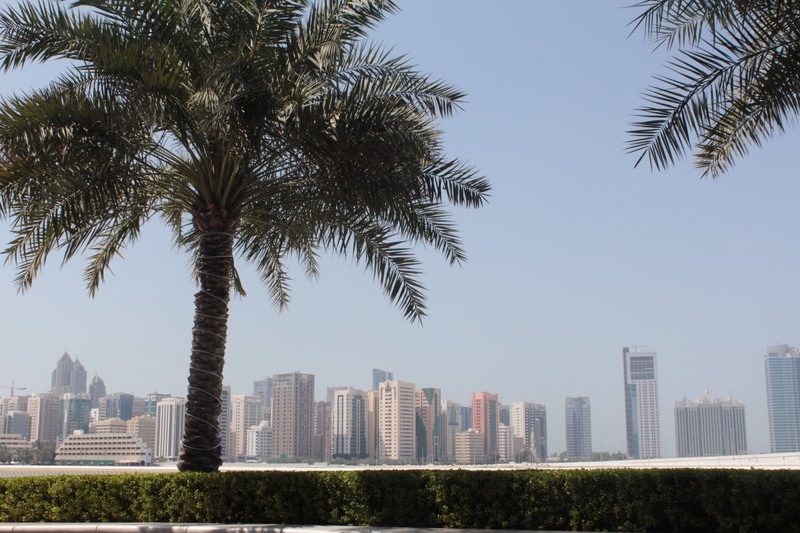 It is part of the glorious Rosewood Hotel on Maryah Island, with direct access to the Galleria Mall. The hotel has got the concept of this restaurant perfect. I have come to expect high levels of formality and service pitched at a certain level and have come up with the expression, 'That is so Rosewood'. Those familiar with the brand will appreciate the meaning of this. Having been to Dai Pai Dong on two previous occasions, I would day that its location puts it in a unique position as it shows guests it can be cool and relaxed while still being 'So Rosewood'. 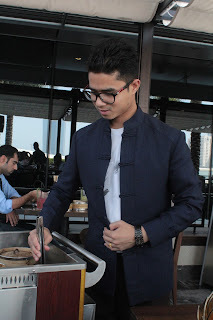 Its very recently launched Saturday brunch gave me a chance to measure just how Rosewood it is! 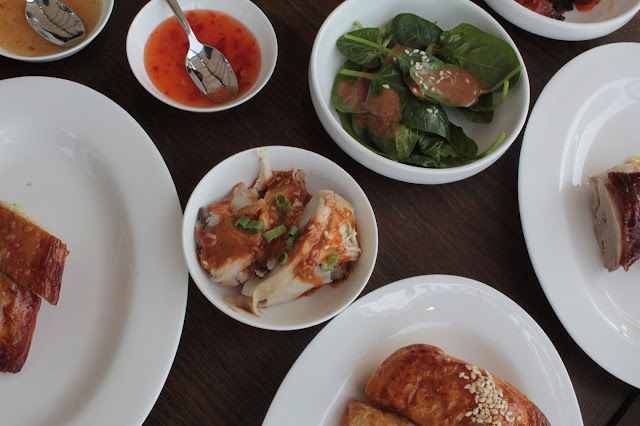 Two trolleys carry a slection of dim sum and you simply choose what you want. 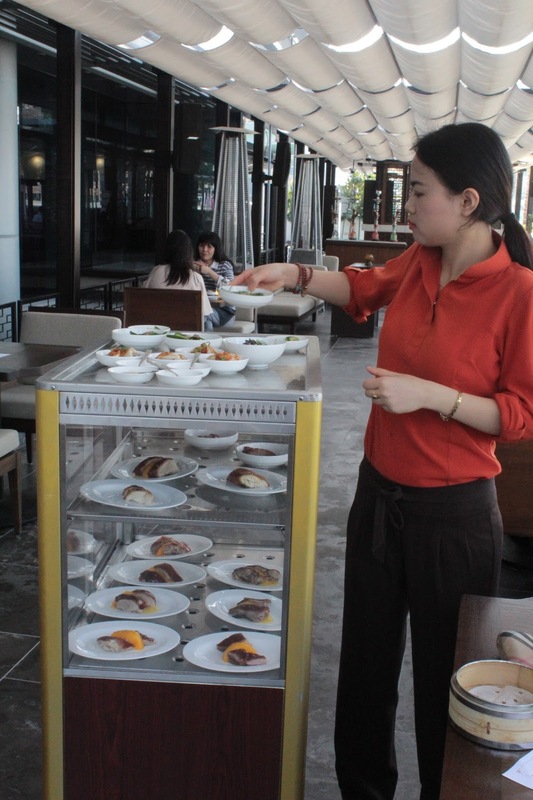 The whole idea of a dim sum lunch may not be new here, but the use of a trolley, despite obvious logistical issues, is brilliant. The fun elemnat is clear in this. It is like going shopping and choosing what you want. 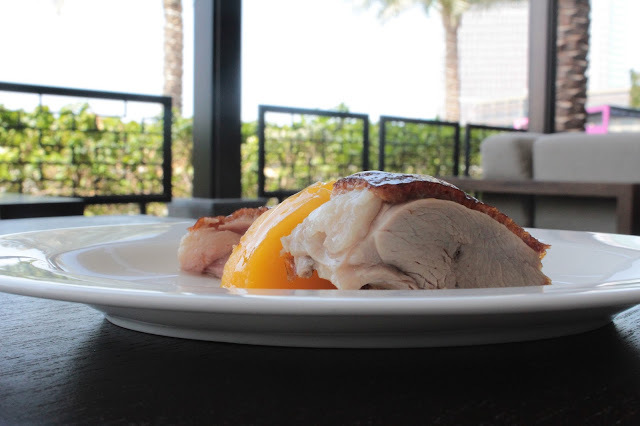 People may know what Cantonese roast duck with mango is, but when they can see it, it takes on a different meaning, with a slice of mango sandwiched between two pieces of duck. Mmmmm. 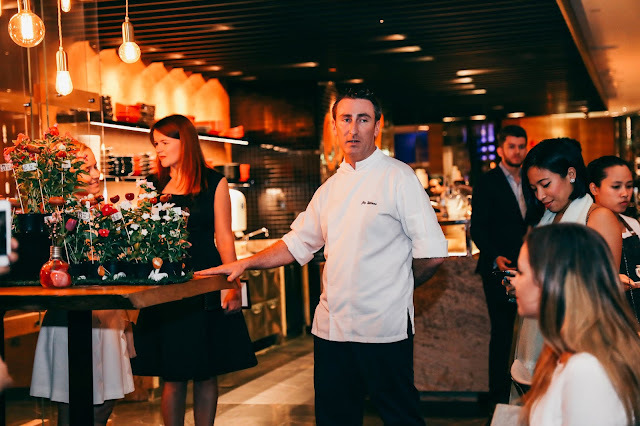 It also allows staff to naturally engage with guests, beyond the mortifying 'How was your meal?' Finally, there are certain dishes like the Cha shao chicken soup and Cantonese shrimp wonton soup that will be served on request as it takes time to prepare. In a word, impressive! 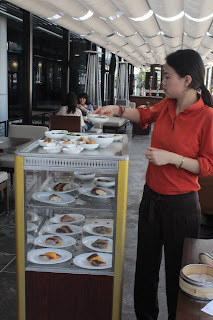 A menu with all the dishes is on the table, so if you want soemthing that you cannot identify on the trolley, ask for it by name. It is really an easy brunch. The fact that it is not a buffet also means you can genuinely sit back and just relax. I absolutely love the cold dishes. With the heat coming soon, I would like to see a few more cold dishes added, especially as palates get used to the idea of cold dishes. 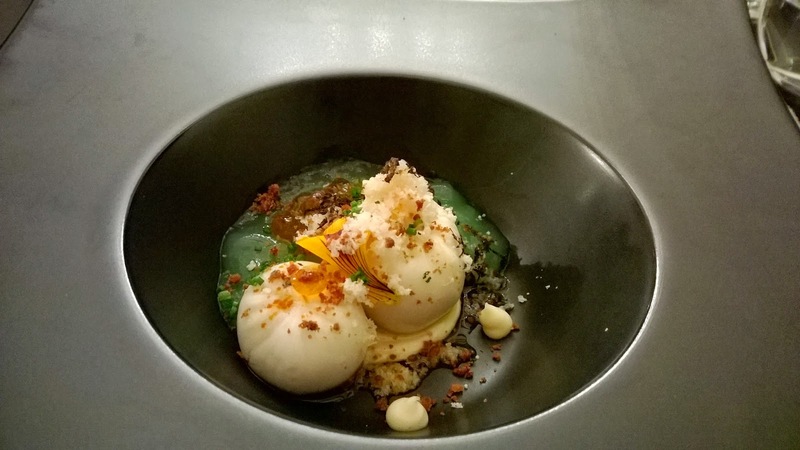 There are two dishes from this selection which stand out - the Crushed cucumber and Chilled spinach. There is an authenticity to these that only peole who have either been to Hong Kong or the maninland can relate to. The crushed cucumber took me back to my 2 square meter kitchen in central China where this was a staple in the summer. It is so simple to make. Garlic and cucuber might sound weird, but give it a try. 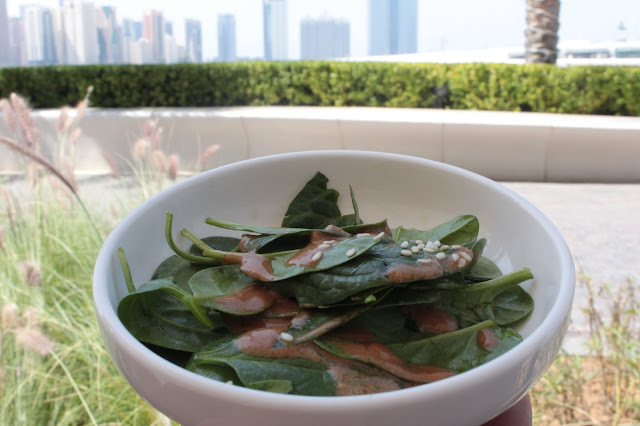 Then, the Chilled spinach with sesame sauce is another dish that is so simple but tasty you can make it at home. 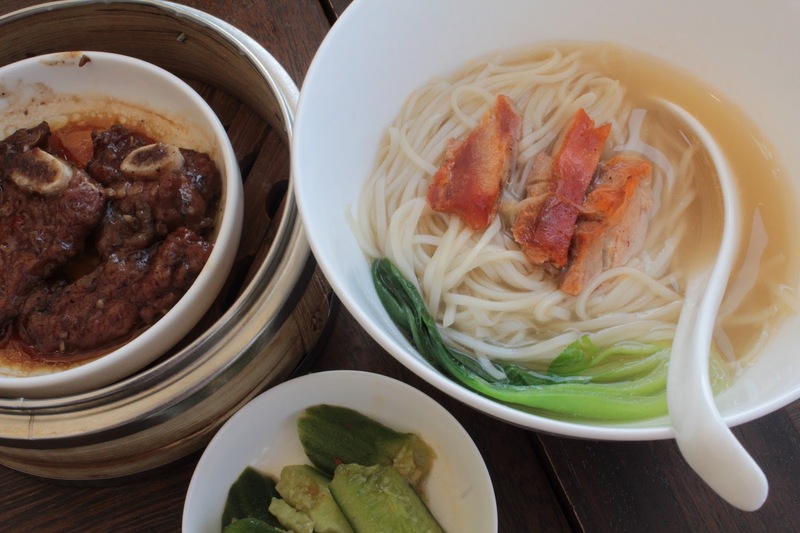 These are two dishes which sum up the authentic feel of Dai Pai Dong. 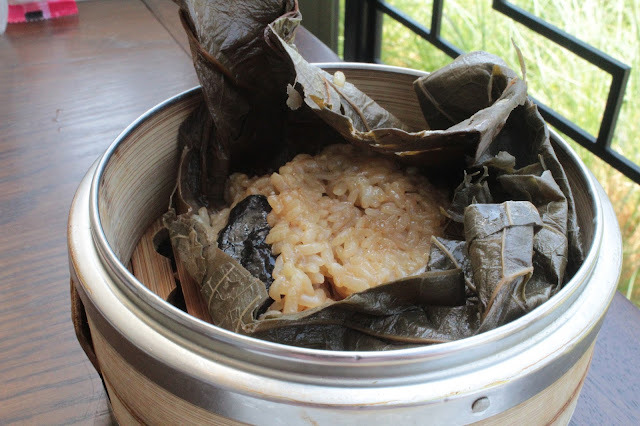 The Lotus leaf sticky rice is another offering that screams 'Made in Hong Kong'. A must have. Glutinous rice exquisitely wrapped in a lotus leaf, which when opened, just sends out steam of subtle flavours. Also try simple dishes like the Vegetable bun, a very typical Chinese treat enjoyed especially at breakfast and the spicy Beef curry puff which actually carries a bit of kick, but I loved it. I also have to mention the Roasted duck dumplings, which are highly recommended by 9 year old, Mitsuki. She has a couple on the day! 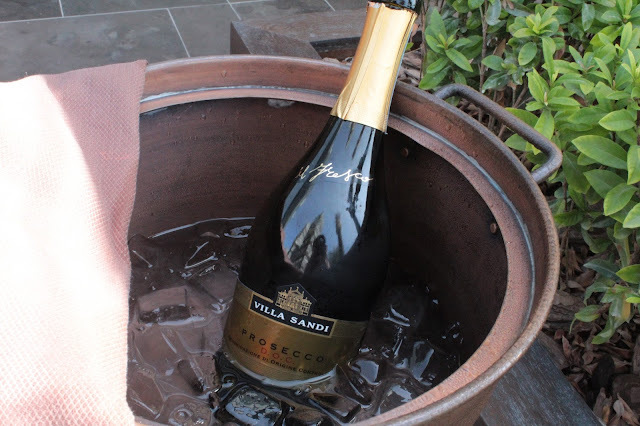 Free flowing jasmine tea comes standard with the brunch, in itself a beautiful pairing, but I opt for the Villa Sandi Prosecco because life makes mores ense when it is bubbly. 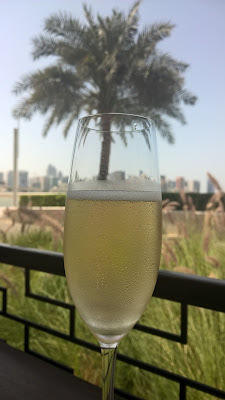 I must stay, sitting on the terrace with a glass of Prosecco here in Abu Dhabi while having that Beef curry puff - an excellent pairing by the way - makes it a surreal and nice experience. With a new concept there are always teething problems. There are a few service issues, which I bring to the attention of the manager on duty. I am pretty sure that after a few weeks, these will be ironed out. Finally, dessert - I try the red bean Sesame balls, a taste that may be unusual initially for most people, but a taste that will grow on them I am sure. These seasame balls will always be synonomous for me with Taiwan! 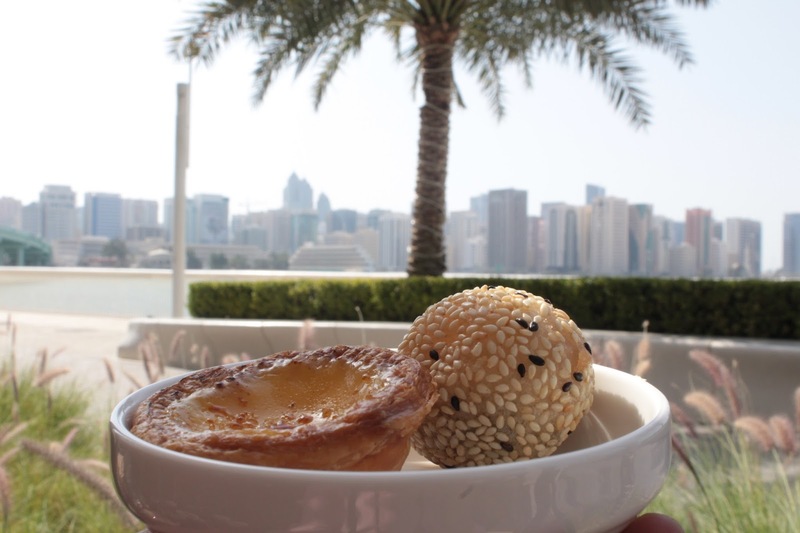 On the same plate is a Hong Kong egg tart with the most delightful surprising ingredient, but I will not spoil it for you. Go and have it. 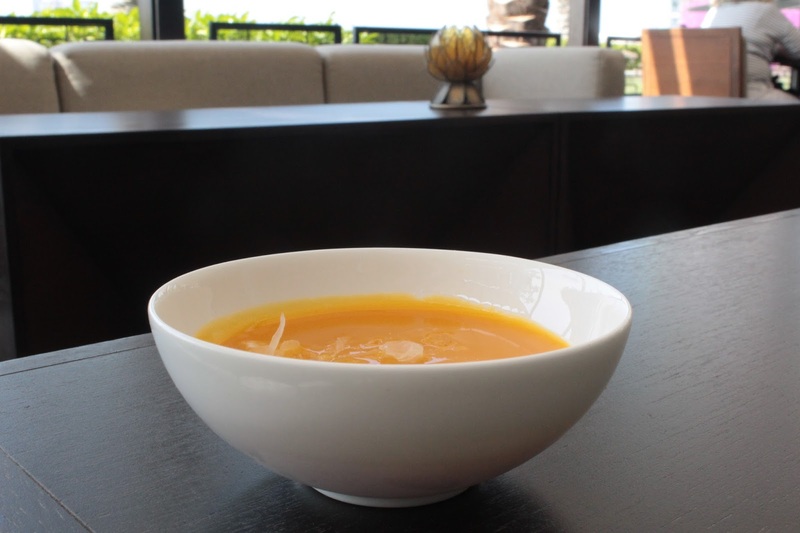 Lastly, I have the cold Mango soup. Sweetness alert, but you will have some respite from the pomelo which adds a bit of citrus and also texture. If you need some more texture, seigo pearls at the bottom of your dish brings even more. Dai Pai Dong adds another wonderful option to an ever burgeoning brunch scene in Abu Dhabi, now that hotels are looking at Saturdays as the last frontier and adding brunches. However, in this case, it is not a forced concept. It also affords peolle genuine variety as they tire of ubiquitous 'international' brunches. The Yum Chay brunch seems to flow naturally from the weekly dim sum lunches that have started. More importantly, it is not a busy brunch along the Friday brunch lines. With people working on Sundays, no one wants anything heavy in terms of eating and drinking. So, very casual and relaxed it may be, but it is indeed very Rosewood in that it is a forward thinking brunch, a special brunch that does not seek to duplicate anything available in the city right now - very Rosewood indeed! Disclaimer: I consult at restaurants and hotels in an attempt to look at the entire product to take service levels to where they should be. 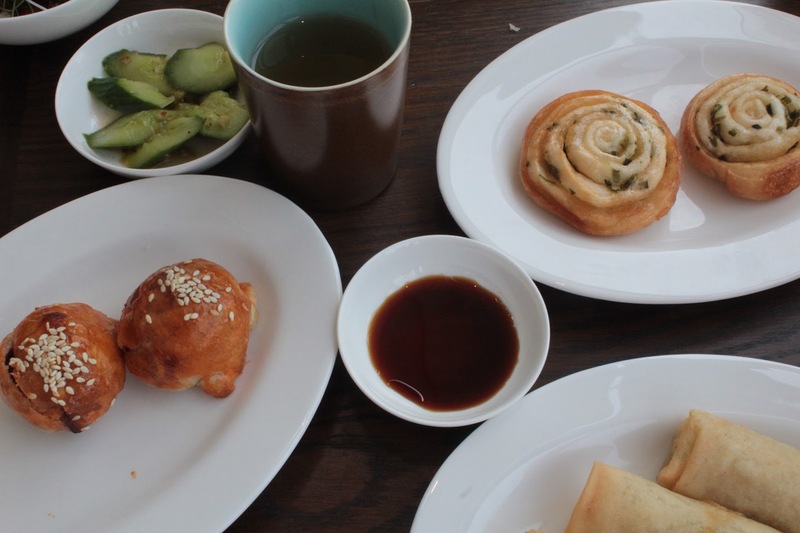 I experienced the Yum Cha brunch at Dai Pai Dong as a guest of the restaurant.